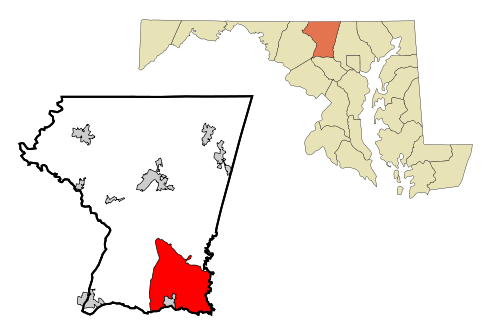 Eldersburg is located in Carroll County, Maryland. The population was 27,741 at the 2000 census. Eldersburg is a bustling place. All one needs to do is turn onto Md.26 towards Baltimore, and look at the restaurants and buildings that dot the highway. There are cafes, stores, malls, and traffic lights that pop up all over the place. Many cars speed down the highway. Today, the pace of life is quicker. People go to work, juggle athletic events for kids, eat a hurried dinner, attend social meetings for various organizations, and help with homework in the evenings. It is interesting to think that at one time, Eldersburg was not the hub of activity it is today. Liberty Road used to be a stagecoach line, and Native American artifacts were found at Hodges Road. Eldersburg is served by many schools. Its Elementary Schools include Eldersburg Elementary, Carrolltowne Elementary, Piney Ridge Elementary, Freedom Elementary School, and Linton Springs Elementary. The middle schools are Sykesville Middle School and Oklahoma Road Middle School and three high schools, Liberty High School, South Carroll High School and Century High School, span across Sykesville and Eldersburg. In 2007, Money Magazine ranked Eldersburg, MD #56 in its "Top 100 Places to Live."